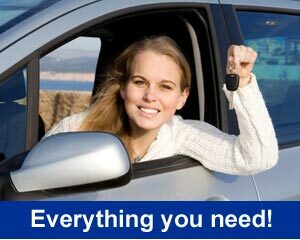 If you need car hire in Cardiff you have come to the right place. We offer access to a full range of vehicles from economy cars such as the Peugeot 107 right through to executive cars such as the Mercedes E200 or similar. We offer car hire from only £15.06 per day fully inclusive. You can pick up your vehicle from Cardiff Airport if you are flying in, or from the pick up point located in Cardiff City, the choice is yours. Prices shown for car hire in Cardiff are totally transparent in that you can see what fully inclusive really means. To book your car hire simply select car hire quote above, select you location, the date and time you wish to start and end your car hire and your age. The system will then search all cars available at your selected location and display the results. You then select your vehicle and press the book button fill in your details, pay and your done. You will then receive a booking confirmation via email. * All our car hire prices are fully inclusive of car rental and insurance, extra charges may be made for additional drivers or snow chains etc.